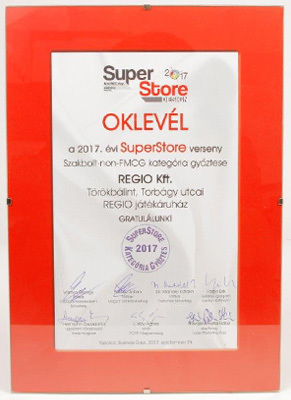 It’s a priority for REGIO JÁTÉK to meet the highest quality requirements both in its products and its cooperations, and stay an exemplary socially responsible company. We are proud of our awards and ratings, because these were adjudged by independent juries, and highlight our values in comparison to other companies and organisations. 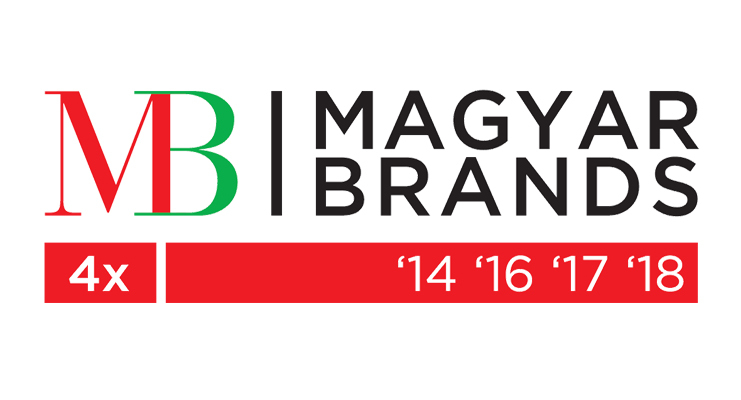 In 2018, REGIO JÁTÉK won the prestigious recognition of the MagyarBrands Prize for the fourth time in the Exclusive Consumer Brand category. 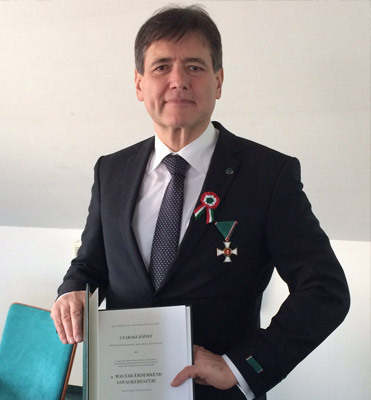 The program honors Hungarian-related brands for the ninth year, which are worthy representatives of intellectual work in Hungary and beyond. 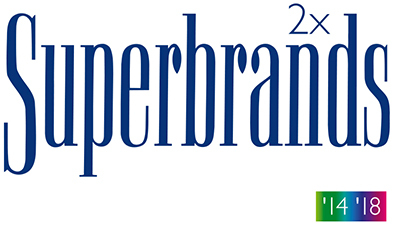 The Expert Committee of Independent Experts evaluates the following aspects in the caregory of the Excellent Consumer Brand: Identity, reputation, brand building practice, tradition, and GfK's national consumer research classifies brand awareness and popularity. 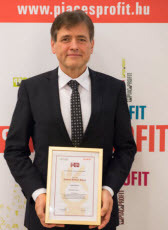 The award recognizes the ethical behaviour of REGIO JÁTÉK, its efforts to become a socially and environmentally responsible company, as well as its responsibility towards employees. The aim of the award is to draw attention to companies that are exemplary in their activities and in their behaviour. They are responsible, ethical enterprises that support confidence between society and the business shpere. 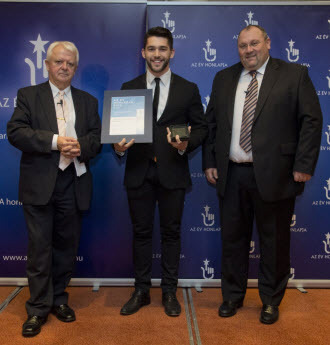 REGIO JÁTÉK got the AAA Bisnode rating that is an excellent indication to suppliers in relation to the company’s financial reliability. The Bisnode group is Europe’s leading provider of business information. Bisnode provides data and insights that facilitate decision-making in both strategic issues and daily operations for companies and organizations throughout Europe. The Bisnode certificate is a means of showing to others that your company is a recognized, reliable and creditworthy entity. The AAA rating takes a series of variables into consideration to establish on statistical grounds which Hungary’s most reliable companies are. In Hungary, only 9.82% of the companies deserve AAA, AA or A rating, which means it is a distinction to have a Bisnode certificate. Being one of the country’s most prestigious companies conveys the message to the market that companies with AAA, AA or A rating are safe to deal with, and can be counted on in the long term. 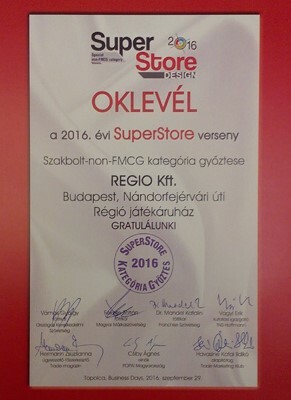 The completely renewed webstore of REGIO JÁTÉK won the award in the e-business category. Our awarded webstore provides access daily to 7000 products, is a surface to communicate with our partners and suppliers, and is linked to the stocks of the 33 REGIO JÁTÉK stores in the country. The competition „Website of the Year” of the Hungarian Marketing Association is the most prestigious online marketing communications contest of the country. For more than a decade, the Association, supported by an independent international jury, has been searching for the best exemplary websites. 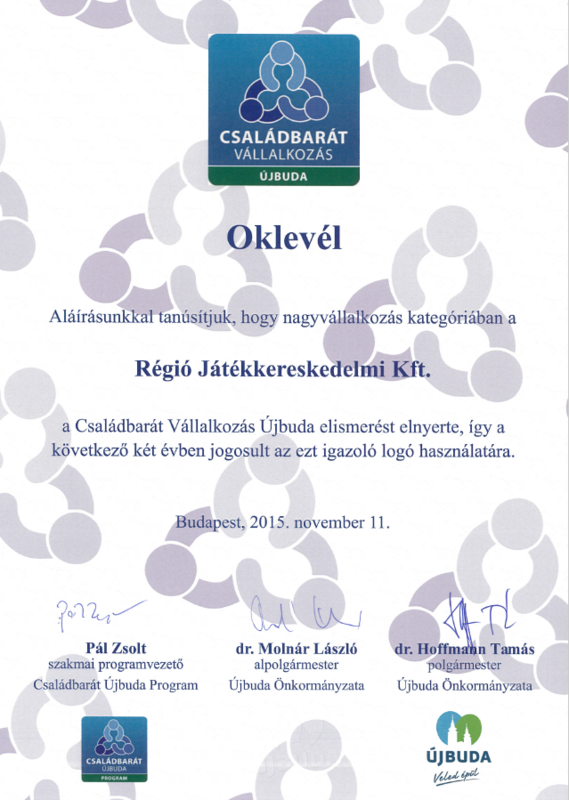 The award is given to national brands that can be exemplary representatives of Hungarian companies here and abroad. 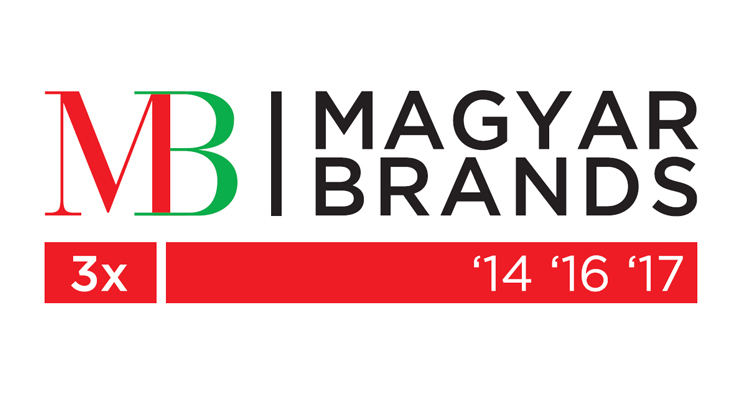 Hungarian Brands Award’s aim is to classify and to represent national brands. Acquiering the award helps brands to become more attractive and to improve their reputation. 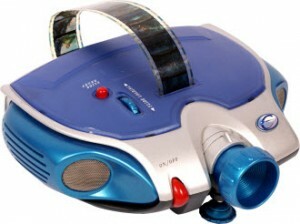 REGIO JÁTÉK got the award for its redesigned slide projector. 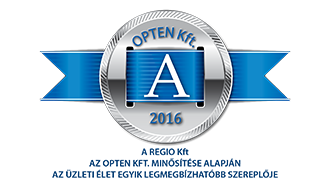 The Hungarian Product Award recognizes those services, products and business organizations that are committed to the highest quality level. The awarded companies represent exemplary models that contribute to the development of economy.